Inspired by Italy’s timeless architectural aesthetic, the Padova invites your originality and vision. 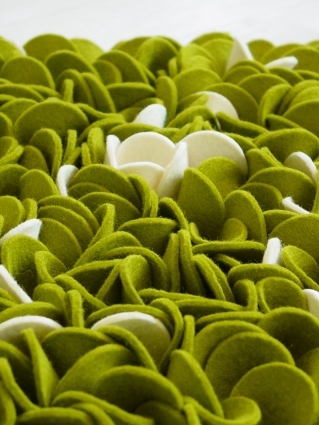 This new concept from Fu-Tung Cheng is designed to be customized with the materials of your choice. 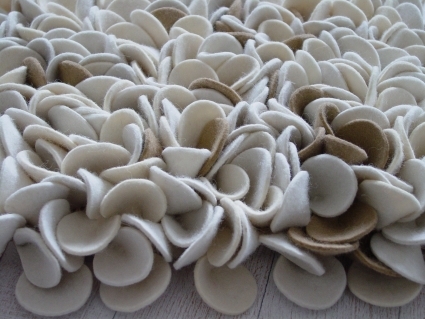 So whether you prefer mosaic tile, ribbed glass, or the many possibilities of Italian Marmorino plaster, you will have a hand in making Padova a signature addition to your home. 2008 Silver Zephyr. 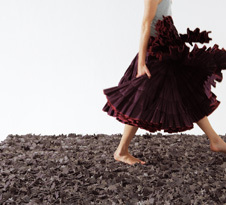 A unique carpet that feels like being bedded on rose petals. 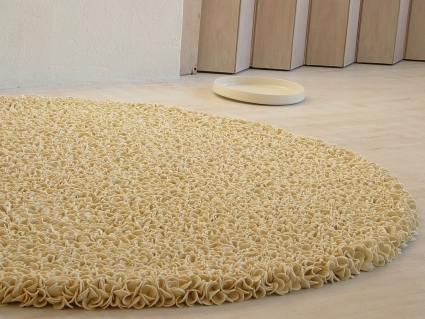 A winner at Good design Awards 2007. From Illu Stration. 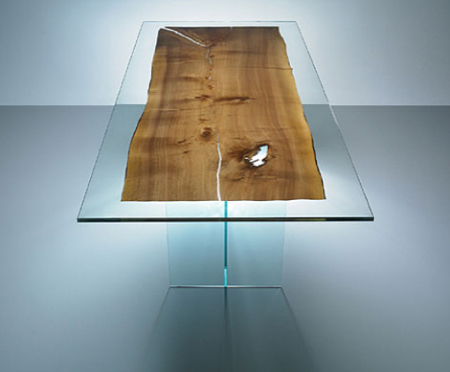 Balancing the cool, sophisticated feel of glass with the warm, natural, laid-back vibes of rough-cut wood, the Velia Table by Ulrich Koessl, Tishch und Stuhl Willisau, Luscern, Switzerland, is a welcome and ingenious composition.Tishch und Stuhl Willisau. 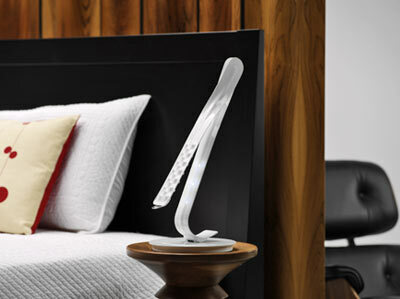 With its flexible blades, the Leaf personal light can be adjusted by the user to the desired position. The Leaf light’s upper blade is both aesthetically unique and functional, with a design that naturally dissipates heat. 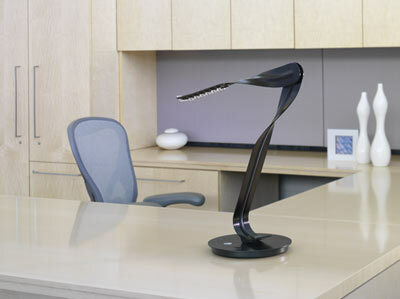 The upper blade of the Leaf personal light pivots at the connection point with the lower blade for easy adjustment. 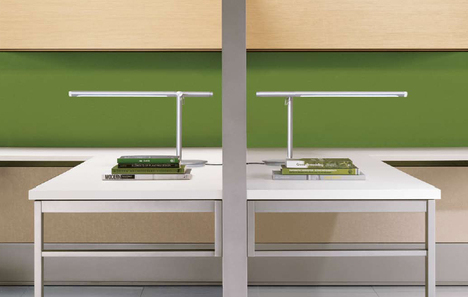 With the touch of a finger, the user adjusts the 20 LED chips in the Leaf light for the desired color and intensity. Herman Miller. 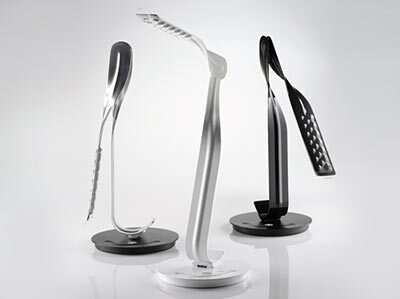 Brazo is a slick task lamp. 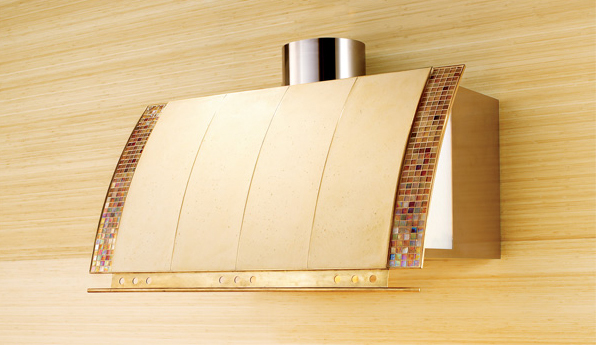 It has an aluminum body and glass shade with details of the lamp taken care of and perfected. Pardo Design. With tempus, the back and the seat move independent of each other. With its sophisticated upholstery and multiple elegant details this conference chair sets a new ergonomic standard for the executive suite. With its outrageous good looks, tempus has all the makings of a classic. Brunner GmbH.